As such, CDOT needed to implement a solution to guarantee the safety of passengers on US Highway 36. In response to these risks, CDOT retained Shannon & Wilson to design and install a state-of-the-art automated monitoring system to alert CDOT’s team to slope movement at previously instrumented locations. In response to the hazards of US Highway 36 and the CDOT’s need for unparalleled safety, Shannon & Wilson selected sensemetrics’ Cloud Platform to provide real-time condition monitoring. In May of 2018, thirty-five (35) previously installed Geokon Model 4420 crackmeters were automated at two (2) sites approximately 3,000 linear feet apart along the US 36 corridor, near Lyons, CO. Automation consisted of single channel and 8-channel Geokon GeoNet nodes which wirelessly connected to sensemetrics THREAD devices for backhaul communications. One sensemetrics THREAD X2 (radio only) device used a high-gain antenna to transmit sensor data from a point outside of cellular reception to a THREAD X2C (radio + cell enabled) device using a high-gain omnidirectional antenna which in turn communicates with sensemetrics’ Cloud monitoring platform. External GeoNet radio antennas were used at select nodes to increase GeoNet radio range. The real-time sensor data has been critical for increasing safety and enhancing asset management in areas where known rockfall hazards complicate or even threaten vehicular travel. 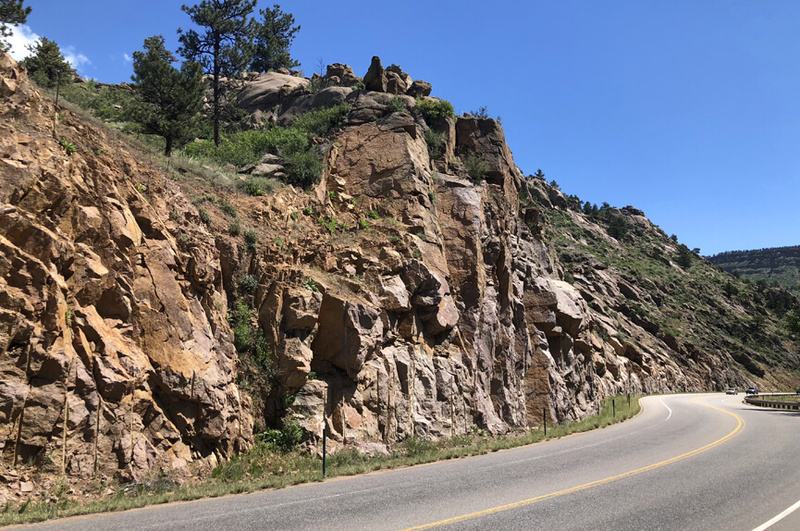 CDOT personnel is alerted when any slope deflection occurs that can potentially cause a rock fall and mitigate the issue before it becomes a public safety hazard. Additionally, the selection of sensemetrics’ Cloud-based monitoring platform has allowed for improved asset management awareness based on sensor data that would otherwise be manually collected. They can now make informed decisions based on near real-time data that is critical to DOT infrastructure in rockfall hazard areas to ensure the safety of the traveling public. sensemetrics was able to improve daily data availability in the cellularly deprived environment. sensemetrics automation greatly improved safety by providing reliable sensor data on a more frequent basis. Cloud-connect technology was applied to the legacy sensors for less than $450 per sensor.